A place of rare beauty and windswept dunes, stark landscapes and jagged coastlines - a world of untamed natural beauty - this is Walvis Bay, the main harbour of Namibia. Walvis Bay is situated on the south west coast of Africa at the edge of the Namib desert and is Namibia's principal port and growth centre. Walvis Bay's rich natural resources and strategic location provide the basis for tourism and industrial development. The existing environment of growth and prosperity has already contributed to unprecedented interest both nationally and internationally. Seen as the gateway to central and southern Africa, Walvis Bay is in the threshold of a prosperous and dynamic future. The municipal area covers 1124 km square and boasts 60 km of Atlantic coastline. On the landward side, Walvis Bay is enclosed by 23 000 square km of conservation area that includes high dunes, wetlands and Kuiseb River delta. Walvis Bay's population of 55 000 people composed of a variety of ethnic groups of different religious and cultural backgrounds, and together they lend Walvis Bay a cosmopolitan appeal. There is no feeling of being a tourist in Walvis Bay, owing to the distinct blend of different cultures. 1487: The first European, the renowned Portuguese navigator Bartholomew Diaz anchored his flagship "Sao Cristovao" in Walvis Bay on the 8th of December 1487, on his expedition to find a sea route to East via the Cape of Good Hope. He named the bay Golfo de Sanata Maria da Conceicao. However, the Portuguese did not formally stake a claim of Walvis Bay. 1840: In the scramble for Africa, Great Britain, a premier sea faring nation at the time, annexed Walvis Bay and a small area of the surrounding territory to forestall German ambitions in the region and to ensure safe passage of British ships around the Cape. 1910: Walvis Bay, as well as the Cape Colony, became part of the newly formed Union of South Africa. However, a dispute arose with Germany over the enclave's boundaries. 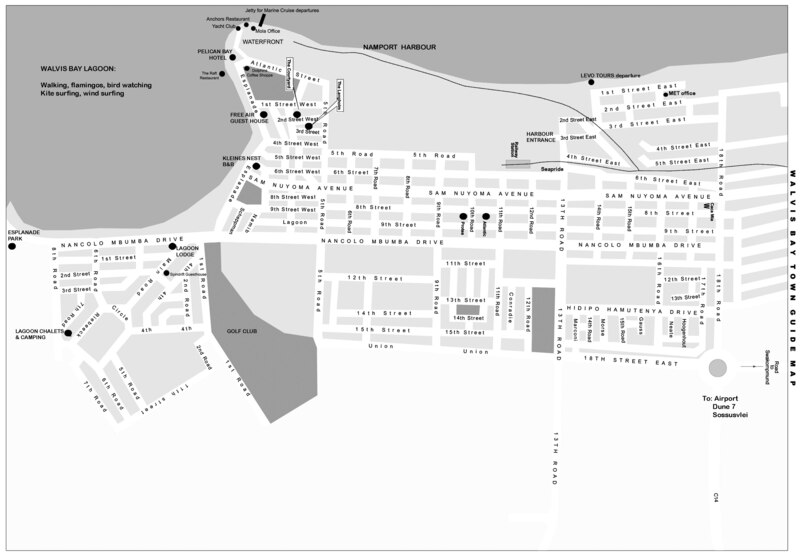 This was eventually settled in 1911 and Walvis Bay was allocated an area of 1124 square km. South West Africa. South Africa was later awarded control over South West Africa by the league of Nations. 1921: Civilian rule was restored in South West Africa and Walvis Bay became an integral part of South West Africa. 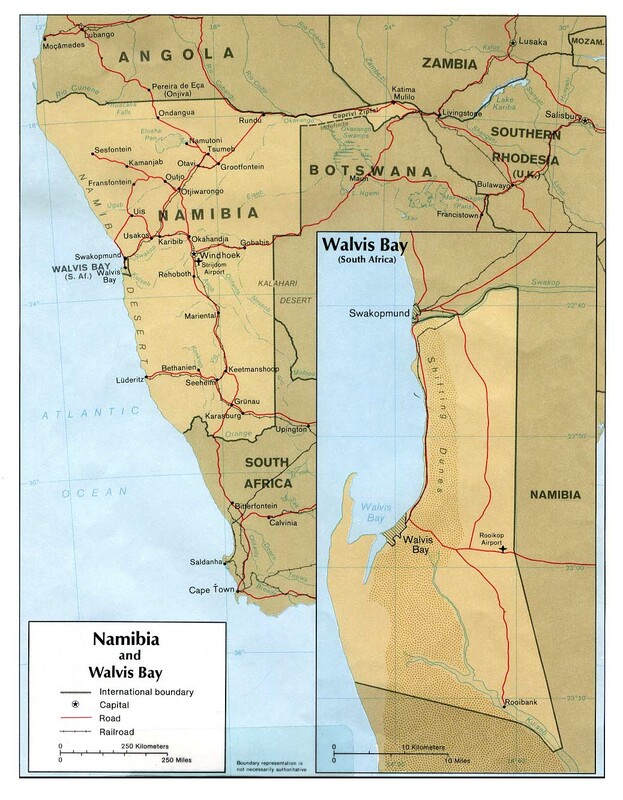 1971: With independence for South West Africa imminent, South Africa transferred power over Walvis Bay back to its Cape Province. 1977: In its attempt to avoid losing control of Walvis Bay to a possibly hostile SWAPO-led government, the then South African Government reimposed direct rule and reasserted its claim to sovereignty based on the original annexation. 1978: The United Nations Security Council provided for bilateral negotiations between South Africa and a future Namibia to resolve the political status of Walvis Bay. 1990: South West Africa gained Independence. 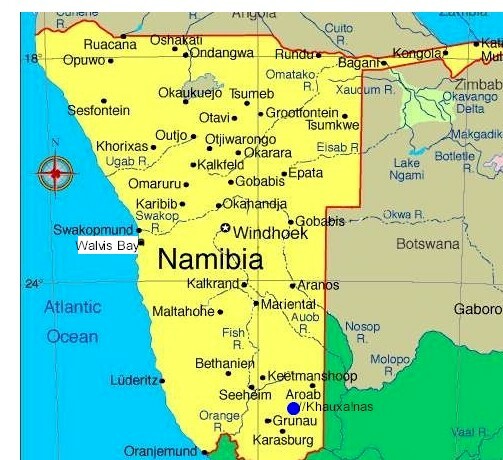 A new nation, Namibia, was born but Walvis Bay remained under South African control. 1994: Walvis Bay was formally returned to Namibia after the local business community and investors in Walvis Bay applied pressure on the South African authorities to resolve the political status of Walvis Bay. An idyllic subtropical climate prevails almost throughout the year. It makes Walvis Bay an attractive option for entrepreneurs, residents and tourist alike. The Cold Benguella Current ensures a temperature climate with temperatures varying between 10 and 25 degrees centigrade. Relative humidity is approximately 80% and rainfall is less than 20mm per annum. During summer, when temperatures in the interior of Namibia become extreme, Walvis Bay becomes a cool haven for those seeking refuge against inland heat as the weather remains moderate. An interesting feature on the coast and stretching up to 40km inland is the fog. This a regular feature of the central Namib throughout the year, often providing the only source of moisture for a variety of endemic invertebrates, reptiles and several short-lived perennial plant species. Being aware that tourism is one if the world's leading industries and provider of job opportunities, Walvis Bay has capitalized on its well endowed natural resources and scenic beauty. There is much to discover, learn, enjoy and appreciate. Visitors are treated with friendliness and every effort is made to ensure that they are comfortable. The visitor can join in the euphoria of the town with endless possibilities - savouring traditional cuisine such as ostrich, kudu, gemsbok, fish, lobster, calamari and oysters in hotels, restaurants and cafes. Walvis Bay guarantees every visitor a unforgettable experience! Travel and tour agents in Walvis Bay can arrange tours at short notice for small and large groups. Long Beach Resort and Dolphin Park are located midway between Walvis Bay and Swakopmund. These resorts are bounded by the Atlantic ocean on the west and enchanting sand dunes on the east. Long Beach Resort features tidal pools, a restaurant, barbecue facilities and a caravan park while Dolphin Park provides chalets, a swimming pool, a hydro-slide and barbecue facilities. Located on the road to Swakopmund, Bird Island is a man-made structure used for the production of guano. Build in 1932 by the entrepreneur Adolf Winter, the structure rests on 1000 stilts and is 17 000 meter square in area. This remarkable natural lagoon is the largest single area of shallow water on the west coast of Africa. This tranquil stretch of water with its natural beauty is accentuated by thousands of flamingos and other birds. Birds counts are done regularly. During one of these counts it was found that the lagoon is a safe haven for between 70 000 and 120 000 birds, and a feeding station for up to 200 000 birds on their natural migration route to and from the Arctic Circle. The cover 3000 year old stretch of water has been declared a Ramsar (Convention on Wetlands, 1971) site because of its value as a wetland area. The Lagoon is regarded as one of the most important areas for coastal birds and the best flamingo viewing locality in the world. A pleasant walk of just over three kilometers along the Lagoon takes the visitor to Lover's Hill, where information on various aspects of the Lagoon is provided. This is a must for all visitors to Walvis Bay. Located on the outskirts of the town, it is the highest sand dune in the area. An unforgettable experience for those who feel inclined to challenge the height of this outstanding landmark to admire the view from the top. Palm trees provide shade for day campers while barbecue facilities makes it ideal for family entertainment. The lunar landscape of Walvis Bay's hinterland and the largest conservation area in Namibia, the Namib-Naukluft Park is a world in itself with an area of almost 50 000 km square. It is made up of mysterious canyons, miracle plants such as the Welwitschia, impressive mountain ranges, desert plains and high dunes. Clusters of flowers in flaming colours adorn the desolate plains in season, while herds of Oryx, ostrich, springbok and mountain zebra roam these arid expanses. Located 48 km to the south of Walvis Bay, Sandwich Harbour is a spectacular and photo-worthy destination. Sought after by anglers, ornithologists and nature lovers, the lagoon was once an open bay, which silted up over the years. The lagoon is fed by fresh water seeping from inland aquifers, and is a sanctuary for large numbers of coastal and fresh water birds. Permits and a 4x4 vehicle are needed to visit Sandwich Harbour. Permits are obtainable at most service stations in Walvis Bay, as well as the Walvis Bay Information Centre. Overnights camping is not allowed and angling is prohibited from January 25 to April 15. A visit to the Harbour is well worth the effort. Entry permits can be obtained from the security offices at the harbour's entrance on 13th road. Walvis Bay plays a crucial role in the national development and growth of Namibia and the African subcontinent as a whole. It is the gateway to Namibia as well as other countries in sub-Sahara Africa. Traditionally, the economy if Walvis Bay has been based on fishing which is still the biggest employer (10 000 people). However, there are many other investment opportunities in support and service sectors to the fishing industry, in areas such as marketing, production, packaging and ingredients for fish processing. A separate fishing harbour serves vessels operating from Walvis Bay. The 3500 hectare Walvis Bay salt field is one of the largest solar evaporation facilities in Africa, processing 24 million tonnes of sea water each year to produce more than 400 000 tonnes of high-quality salt. The salt is shipped to markets in southern and west Africa. Walvis Bay Salt Refiners is also a commercial producer of high0quality oysters supplied to customers throughout southern Africa. The exploration for oil and gas along the coast continues. If deposits are found, it would have a positive impact on Walvis Bay's economy. The port serves as an important supply centre to the various companies prospecting along the coast of Namibia. 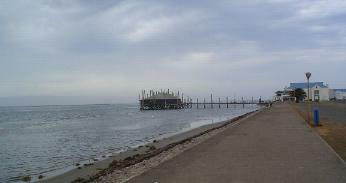 Walvis Bay has a natural deep water harbour and is the only one if its kind in Namibia. It offers convenient and direct access to African, European and American markets. By using the port of Walvis Bay exporters and importers within guaranteed a saving of at least eight to ten days when shipping to and from markets. The port is managed by Namibia Port Authority (Namport). Being equipped with modern equipment, machines and an efficient labour force, the port has the capacity to handle over two million tones if cargo each year. Cargo turnaround time is good - never longer than 72 hours. The port's security reputation is excellent with zero theft and absolutely no corruption. * Total exemption from corporate income tax, custom duties, sales taxes, transfer taxes and stamp duties. Only personal income tax on employee's income needs be paid. * All incentives are of unlimited duration and apply equally to Namibian and foreign firms. * Investors can also choose to upgrade the skills of their Namibian employees by making the use of the 75 percent reimbursement by the Namibian government of all direct expenditures incurred on approved on-the-job training courses. * Freedom from exchange controls and the holding of foreign currency accounts at local banks. * Legally enforced no-strike clauses for companies with EPZ status. * Free repatriation of capital and profits. Keeping the zone running smoothly are two specialised organisations: Walvis Bay EPZ Management Company (WBEPZMC) and the Offshore Development Company (ODC). The WBEPZMC was established in June 1996 by the Walvis Bay Municipality and local enterprises to provided a supporting framework for the EPZ. Some of the services offered by the WBEPZMC included tailor-made factories, administrative and secretarial services, shipping and forwarding and personal recruitment. The ODC handles promotion and marketing worldwide. 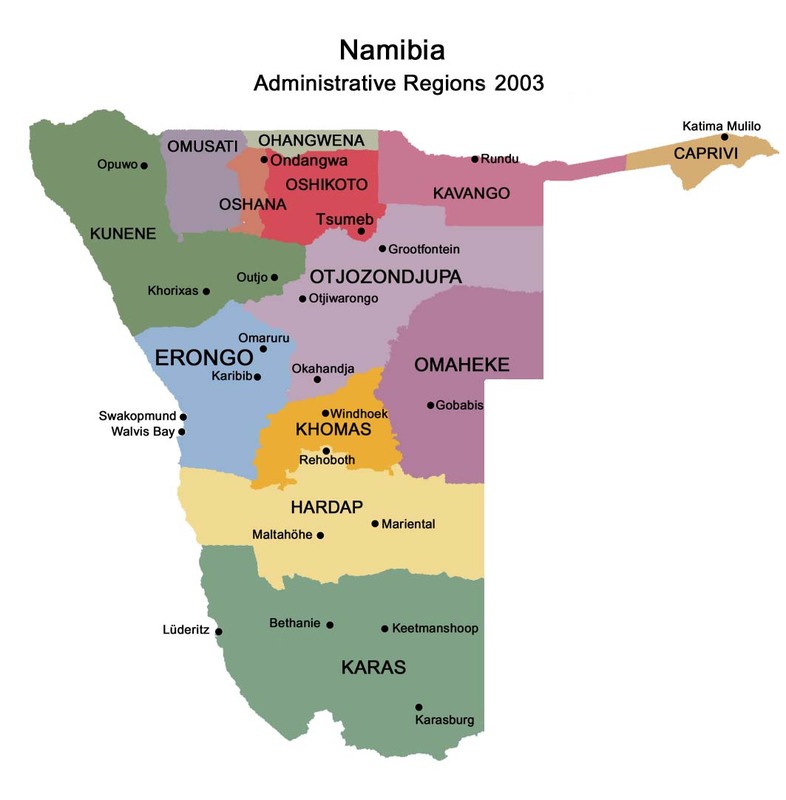 Namibia has a stable Government since obtaining independence in 1990. The Government is deeply committed to promoting private entrepreneurship and investment. Its liberalized economy and policies (incentives, loans and infrastructure) attracts both foreign as well as local investment. An adequate pool of skilled , semiskilled and floor level workers provided able support to investors. Walvis Bay has an efficient network linking it to the hinterland and neighbouring African countries in the form if all-weather highways, district roads, a railway services and air links to Windhoek as well as other international airports in the region such as Cape Town and Johannesburg. The Walvis Bay airport is also to be upgraded to accommodate large aircraft such as 747s. Walvis Bay's water is drawn from aquifers in the Kuiseb River and supplied to the town via five reservoirs. A planned desalination plant for the coastal region will ensure the continued supply of water necessary for Walvis Bay's future development and growth. There is an ample supply of electricity to serve the needs of Walvis Bay and capacity to accommodate new developments. Currently 28 Megawatt power is available which is being increased to 35 Megawatt. Walvis Bay has a modern liquid waste disposal system which produces treated effluent by means of bio-filter and activated sludge process. A process in which sewerage water is treated and make available for reuse has also been introduced. A new solid waste disposal facility that includes a hazardous cell is also being introduced. The Namibia Constitution guarantees freedom of expression. Walvis Bay has its own newspaper and is covered by all radio stations, television and cable channels. Road transport has increasingly replaced rail as the principal method for international transportation of goods. Walvis Bay is served by well-maintained all-weather road link to the main centres and the rest of Namibia, as well as southern Africa. The Trans-Kalahari Highway links Namibia with South Africa's Gauteng province, shortening the road distance by more than 500 kilometres. The Trans-Kalahari Highway is a fast-flowing transport route to and from neighbouring states such as Zambia, Zimbabwe, Zaire, and central and east African states. The town has an efficient system which operates well within its capacity. It conveys bulk commodities, general cargo, refrigerated goods, fuel and offers a comprehensive container service. Walvis Bay is linked to the rail network of Namibia and southern Africa. Namibia's window to world trade, the port of Walvis Bay, is recognised as an efficient and economically viable option for cargo to and from Namibia and its central and southern African trade corridors. The port provides the following services; fire protection and security, engineering services, technical services, divers ship repair and dry dock. The port is capable of handling bulk, containerised, petroleum products, frozen and dry cargoes. Walvis Bay has two well equipped hospitals and three clinics as well as medical support professionals in the private sector. Primary schools, secondary schools, a seaman's training college, three libraries and a museum provide adequate development of human resources. A pool of high standard as well as affordable houses which are fully serviced with water, electricity, sewerage and network of surfaced streets are available. New erven, both commercial and residential, are being surveyed and made available on the open market to residents and investors. Banking institutions provided comprehensive domestic and international banking services and ensure fast and efficient transfer of funds to and from any centre in the world. Organised commerce is supported by an active Chamber of Commerce and a Port User's Association. Walvis Bay offers a variety of sports and recreation facilities for those who wish to keep fit and enjoy an active outdoors lifestyle. Golf, tennis, bowls, sailing, cricket, soccer and rugby are popular outdoor sports while indoor sports include squash, netball, basketball, gymnastics, volleyball, aerobics and boxing. The Indoor Sport Complex is a modern international standard facility. For those interested in competitive sea sports, the Walvis Bay Yacht Club, next to the Lagoon, organises regattas in which hobby cats, fireballs and catamarans compete. The Lagoon is also ideal for wind surfing. Annual highlights are the Yacht Race (December) between Walvis Bay and Swakopmund; a coastal adventure cruise to Luderitz; the Walvis Bay Speed Week, where international wind surfers compete; six-a-side Touch Rugby tournament (December); a triathlon (December) and the Weskus 4x4 Vasbyt (December) designed to test the skill and endurance of drivers and vehicles. Those interested in atmospheric aquatic adventures can go Kayaking on the Lagoon with an experienced tour guide. This expedition also provides an opportunity to come into contact with seals and, if lucky, dolphins. Tour operators offer exclusive trips for shark fishing, angling, beach fishing, game hunting or simply sightseeing.